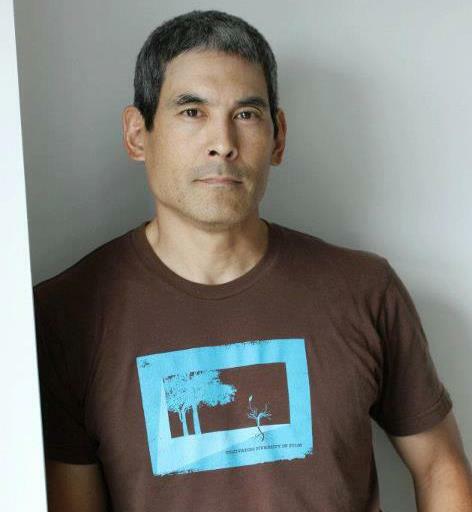 Lil Tokyo Reporter, starring Academy award winner Chris Tashima (Visas and Virtue, Day of Independence, Model Minority), will have its world premiere screening at Laemmle Playhouse 7, 673 East Colorado Blvd. in Pasadena, from September 14-16, 2012. Tashima portrays the title character in Lil Tokyo Reporter, a narrative short film based on the true life struggles of Sei Fujii, immigrant pioneer, leader, and publisher. Click here for updates on showtimes during the week of September 14. Jeffrey Gee Chin directed Lil Tokyo Reporter, with a screenplay written by Guinevere Turner (American Psycho), based on the research of executive producer Fumiko Carole Fujita and the Little Tokyo Historical Society. In addition to Tashima, Lil Tokyo Reporter stars Eijiro Ozaki, Ikuma Ando, Keiko Agena, and Sewell Whitney. Although Sei Fujii was one of the most pinnacle civil rights leaders in the early 20th century, Lil Tokyo Reporter highlights his journey away from his political contributions, and delves into his interpersonal journey to defend and promote his deteriorating community during the Great Depression. Fujii vowed to protect his people, defended them in legal cases with Attorney Wright and built a much needed hospital for the Japanese American community. During the Great Depression, the community unites at their first annual pageant parade while Fujii promotes their accomplishments through his new radio program and newspaper. Wright brings to Fujii’s attention a group running the local gambling hall who decided to take advantage of his community. Fujii must make a decision to confront the issue through his reporting and newspaper. Will these local baddies win over our historic civil rights leader? Or will our hero survive a road that will lead him into many unexpected twist of events. 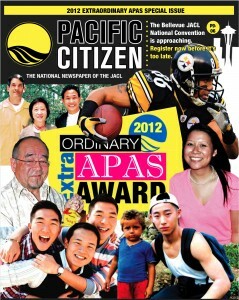 In May, the Pacific Citizen‘s second annual “Extraordinary APA of the Year” Awards, which honor an individual’s positive and headline-making achievements in the Asian Pacific American community were given to Lil Tokyo Reporter star Chris Tashima, director Jeffrey Gee Chin and executive producer Fumiko Carole Fujita, in the category of Extraordinary APAs in Entertainment. This special recognition honors community leaders who have positively impacted the APA community and whose stories were reported in the Pacific Citizen. Lil Tokyo Reporter was produced by Mayon Denton and Michael Iinuma in association with Visual Communications and the Little Tokyo Historical Society. The team was also sponsored by the California Civil Liberties Public Education Program and the Terasaki Foundation. Click here to learn more about the film and here to donate to the fundraising campaign. The Little Tokyo Historical Society (LTHS) focuses on researching and discovering the historical resources, stories, and connections of sites, buildings, and events related to Little Tokyo as an ethnic heritage neighborhood. LTHS is committed to documenting and verifying history of locales, sites, and buildings, as well as preserving and sharing the history and personal stories of Little Tokyo and its residents. LTHS was formed in 2006 by members of the Little Tokyo community to commemorate the Nikkei history and heritage through various means such as: archival collections, photos, exhibits, lectures and workshops, and gallery. Although other organizations documenting Japanese American history exist, LTHS narrows its focus by concentrating on the history of Little Tokyo in Los Angeles, rather than the larger scope of Japanese Americans nationwide. LTHS operates as a volunteer organization, comprised of members from the Little Tokyo community including nonprofit employees, business owners, and residents. 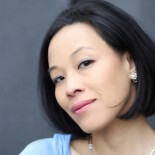 Lia Chang is an actor, a performance and fine art botanical photographer, and an award-winning multi-platform journalist. This entry was posted on August 27, 2012 by Lia Chang in Asian American Artists, Asian American Issues, Entertainment, Film, Japanese American History and tagged Chris Tashima, Eijiro Ozaki, Fumiko Carole Fujita, Guinevere Turner, Ikuma Ando, Jeffrey Gee Chin, Keiko Agena, Little Tokyo Historical Society, Nisei Week, Sei Fujii, Sewell Whitney, Terasaki Foundation, the California Civil Liberties Public Education Program, Tokyo Reporter, Visual Communications.